My friend Nancy's favorite Mother's Day gift of all time was from her dog. It was a coffee mug with Lexi's mug shot and a personal message printed on it. Of course there were some humans involved in this thoughtful gesture. In creating her gift, Nancy's friends took advantage of two major trends: digital photography and personalized gift giving. They put them together to design a gift that Nancy will never forget. And you can do the same as you prepare to celebrate Mother's Day 2007. Many of us find it hard to buy gifts for family and friends these days. One reason is because so many people just go to the store and buy the things they want when they want them. Instant gratification may be good for them but it makes it harder to come up with original gift ideas. Enter the latest gift giving sensation: Personalized gifts – the perfect solution to Mother's Day 2007 or any other occasion. Digital cameras make personalization so much easier than film cameras. 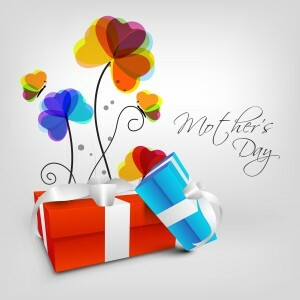 Not only can you design your own photo greeting cards online in a matter of moments, but you can create one-of-a-kind Mother's Day gifts, solving the whole Mom's Day dilemma with a click of the shutter and a click of the mouse. Imagine trying to find an appropriate, wise, witty, unique greeting card at your local card shop. After spending an hour reading every card on the shelf, you discover nothing suits your mom. How could it? People far away who don’t know your mom and can’t express the true nature of your relationship created those cards. The wide selection of personalized gifts you can order online goes way beyond photo-imprinted t-shirts. Just about anything you can imagine can be customized with a favorite image. - Tote bag with a picture of the kids or a pet printed on the side. - Silver bracelet or necklace with photo pendant. - Fridge magnet with a cherished photo. - Customized photo album in a hardcover book. You select the book style, choose the images, and write the captions, all using drag-and-drop software for easy and professional-looking results. - Photo mug. Give her one with something sweet on the outside – her favorite photo of you – and something sweet inside – her favorite chocolates. Mom will love your thoughtfulness. And she'll think you spent a fortune, but many personalized gifts like these cost very little and mean so much. So don't let all your great digital pictures stay hidden and forgotten on your computer's hard drive. Bring them out into the open and solve your gift-giving headaches by putting them on Mother's Day gifts she'll use and admire every day.